There are several different types of passes you can take, Global Passes, One Country Passes and Premium Passes. Last year, for our 5 week travels, we had the Global Pass with 10 days of travel within a month. Originally, we were planning to get the Global Pass which allows you to freely travel every single day within the validated month, but we soon realised that it would be more money friendly, to choose a pass that allowed us to travel for the amount of countries we are visiting, so planning is a must, unless you are about that spontaneous life. This time around, we are using the One Country Pass with 4 days of travel within a month, as we know we want to travel to certain cities, which we will go into more in a future post. Although, originally, we were going for the Premium Pass, which of course costs more but includes free advanced reservations. Again, with extensive planning, we already knew that the trains we are planning to catch, shows that most, if not all our trains require reservation but when checking individually for the bookings, it actually would come up cheaper than buying the whole package. So again, planning is key if you are on a budget. Following out previous point, how we managed to plan and check the times and seeing if the trains you want to catch need compulsory reservation. What we loved the most about this app is when we were planning the first time, we checked times way far in advanced to have a "rough idea" but little did we know it was bang on, even with checking so far in advanced. Also, the app allows you to filter your rail options based on: direct connections only, trains without a compulsory reservation if available and shows you all the stops to make alternative routes. Again, following our two last points, now you know some trains require compulsory reservations. As mentioned previously, you can check this on the Rail Planner app marked with an ‘R’. Please note, these reservations need to be booked in advanced, some can be done at the train station, online at least 3 hours before, but please always make sure before you travel to make sure and all compulsory reservation are an extra cost on top of your Interrail Pass. This sounds so simple, but it's probably the most important. As some trains don't require reservation, it's easy to simply jump on the next available train and grab your seat, but if you forget to write down your journey before the ticket person comes by, you may be in a lot of trouble, as to them it will look like you're trying to cheat your way through getting to an extra travel day. Also, be careful when filling it in too, as mistakes and crossing out may look like you're tampering with your pass as well. This is simply self explanatory isn't is? But you'd be surprised how some of your trains do not have a cafe/shop on board and if there is, the prices are just ridiculous, so it's also best to buy some snacks and drinks beforehand to save you some money and to allow yourself the chance to eat when and if you need to! Have you travelled via Interrail before? Share your travel tips with us in the comments below. Oh how exciting Italy this year. Thanks for sharing these helpful tips. I totally agree about taking your own food and drink and checking if you need to reserve seats. We actually cannot wait! We always have to bring our own food and drink! I've heard such good things about Interrail and I'd love to travel to a few countries in Europe using this! Your post was super helpful I'll be saving it incase we ever decide to book and go travelling! We'd highly recommend it! It's such a great way to travel Europe! You'll find the right time soon and I hope so for you because we loved inter railing the first time and we can't wait to go again! Thank you for these tips, I have always wanted to go interrailing as have my friends and we're hoping to go this year during the Summer. I hope you enjoy your trip to Italy! Oooh how exciting! Thank you. Hope these help you for your future journey! That's such a great pack and I hope you get to fulfil it! Highly recommend inerrailing! Do it! Do it! We loved it and I'm sure you would to! It's a lot of saving but it so worth it in the end! We are for sure certain that we will be eating all the pasta in the world! 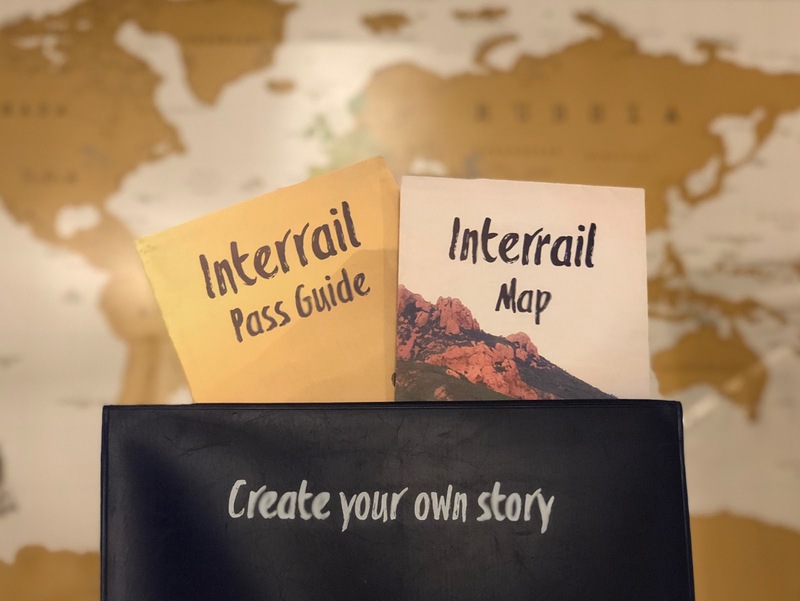 Wow, there seems to be so much involved in planning an interrail trip, especially with all of the options for purchasing your tickets - I don't think I'd know where to start! Posts like this are so helpful though, to inform others based on your experiences! I never even would have considered that some trains wouldn't have a cafe on board, so being mindful of that seems to be very important – nobody wants a hangry traveller after all! ;-) I can't wait to hear about your trip around Italy, you're going to have an amazing time! I will be in the country myself in June, although I'm just going to be sticking to the swimming pool of my hotel in Sorrento haha! When in June will you be going? We're planning to take a day trip out there! There's so many options, but we hope we made the right decision with the tickets we purchased!